"the Dalí Quartet's Latin American program alternately glimmered and blazed." "...[The Dali's] playing exhibited a high level of technical competence and musical understanding..."
"...the Dalí created lush waves of sound ... this performance delivered with excellence of expression and ensemble." "The Dalí Quartet wove a full, rich instrumental texture...ingenious and intricate application of string technique." 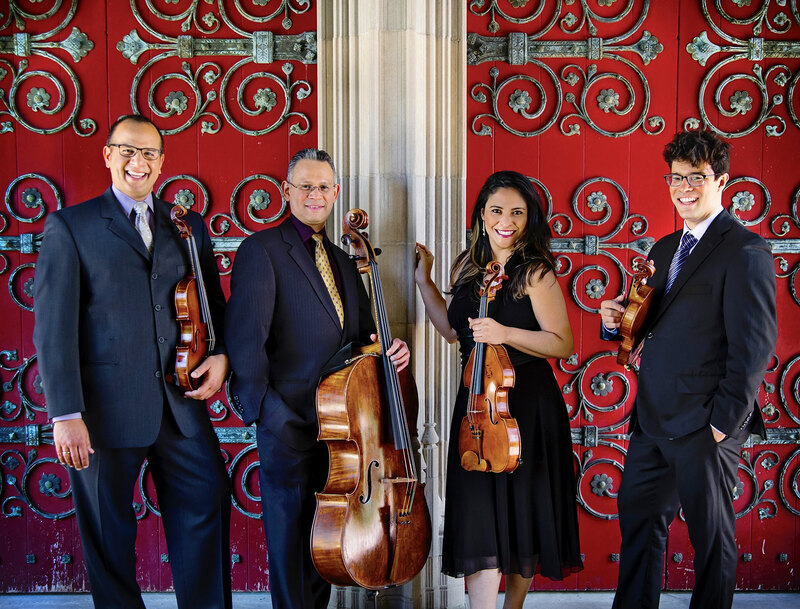 "[The] Dali Quartet presents a warm Latin afternoon"
"The music pulsed with excitement ... the work was played with passion and precision." "Dalí has a big, lush sound. They captured the elegance and lightness of the Haydn quartet. ... As expected, they handled the Latin American music with authoritative ease." "Silky rich tones ... Expertly performed..."